Dhanya (M.Sc) is a Senior Research Fellow at the Indian Veterinary Research Institute. A member of the FMD Virus Vaccine Production Unit, she specializes in Medical Microbiology, Biochemistry, Physiology, and Molecular Biology. She has over three years of professional experience. Influenza, commonly known as the flu, is an airborne respiratory infection. The causes of influenza are various strains of the influenza virus, which belongs to the family Orthomyxoviridae. These strains are created as the main virus shows high rates of mutations and changes its structure frequently. Humans do not have immunity to the new strains (similar viruses with minor differences) that emerge through such mutations. As a result these recurring processes create pandemics, in which the infection spreads rapidly across continents in a short span of time, causing several deaths and requiring the hospitalization of many people. The type A influenza virus is one of the prime causes of influenza infection. The influenza virus is grouped into 3 types – A, B, and C, based on the protein and nucleic acid composition of the virus. Human infection is caused most frequently by the Influenza A type of virus. There are also reports of infection caused by the type B virus, but infection by the type C virus is rare. Influenza viruses are RNA viruses because their genetic material is RNA. The virus has two protein spikes termed Haemagglutinin (HA) and Neuraminidase (NA). HA plays a major role in the attachment of the virus to human respiratory cells, while NA influences the progression of the infection. 16 HA and 9 NA have been identified till date. Based on the nature of the HA and NA spikes, influenza viruses are again grouped into various sub types such as H1N1 (Swine Flu), H3N2 (Seasonal Flu), and H5N1 (Bird Flu). The reassortment of the influenza virus is what causes influenza in its various forms. The 2009 swine flu pandemic is one such example. Wild aquatic birds such as ducks and shore birds are collectively the primary reservoir of the influenza virus. Such birds shed the virus in their excreta, which then acts as the source of infection.The flu virus may mutate and readily jump to species like domestic poultry or swine. The influenza viruses that infect birds and those that infect humans are both capable of infecting pigs. This leads to the mixing up of both the distinct strains, causing an emergence of a new influenza virus which can spread from pigs to humans. This came true during the 2009 H1N1 pandemic, where the pigs acted as the mixing bowl for influenza virus reassortment (mixing up of genes). The influenza infection is airborne. The virus is transmitted from one person to another through the air. When an infected individual coughs, sneezes, talks, or spits, the respiratory droplets that carry the virus are exposed to the environment. These viruses then enter the body of another individual through his nose or mouth. Airborne infections can even spread to persons standing up to 6 feet away. Indirect transmission can also occur in rare cases, when a person’s nose or mouth gets infected by his hands that have already been in contact with contaminated surfaces. Once the virus enters a person’s body through his nose, it attaches to the host’s respiratory epithelial cells with the help of the surface protein Haemagglutinin (HA). The virus then travels down the respiratory tract causing much internal damage and finally infects the person’s lungs, leading to pneumonia and bronchitis. 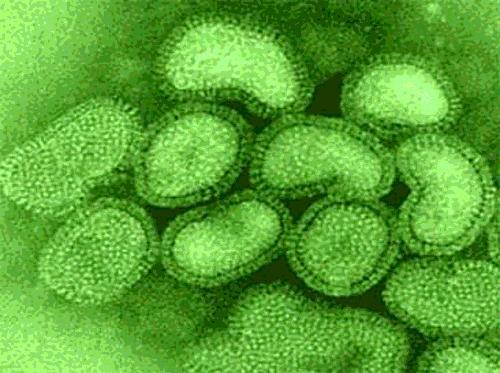 Once inside the cells, the influenza virus takes over the host’s body to replicate and produce more viral particles to spread the infection further. A person infected with influenza sheds the causative virus in his respiratory secretions even before the flu symptoms have manifested. In children, the shedding of the virus can continue for up to 7 days or more. 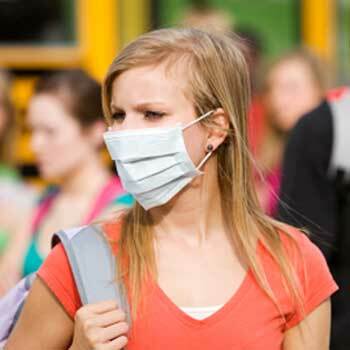 Wear a mask to protect yourself from the influenza virus, which is what causes flu. Wash your hands vigorously with soap and water or with alcohol based hand rubs. Influenza can cause serious complications and even turn fatal when not diagnosed and treated on time. For this reason, it’s important for you to protect yourself and your family from the causes of influenza, at least by getting the flu vaccine and maintaining high levels of hygiene and sanitation. Influenza is an infectious viral disease that can quickly turn complicated, and even fatal. The Advisory Committee on Immunization Practices (ACIP) recommends that the annual influenza vaccine be administered to all people above the age of 6 months. The vaccination should be scheduled before the arrival of the flu season so that there is sufficient time for the body to develop protective antibodies to fight against this dangerous condition. Annual vaccination is the mainstay of preventive measures against influenza. 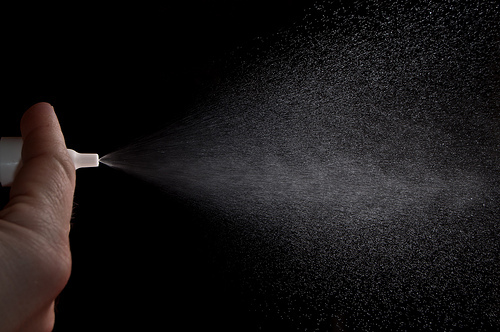 The Live Attenuated Influenza Vaccine comes in the form of a nasal spray. 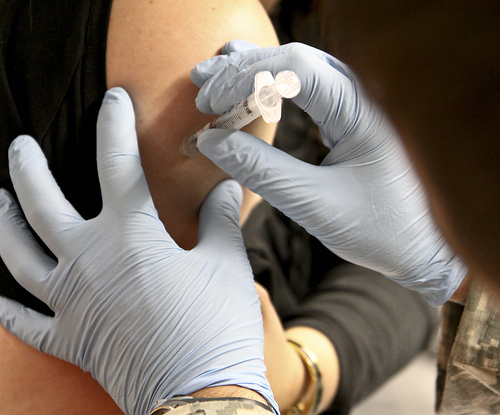 The Food and Drug Administration (FDA) has licensed two influenza vaccines for use. The influenza vaccine is an injectable vaccine that contains a strain of a dead flu virus and it can be administered to anybody older than 6 months. The second type of vaccine contains a live strain of the weakened flu virus (attenuated flu virus) in the form of a nasal spray. It is approved for individuals ranging from 2 years to 49 years of age, except pregnant women. Fluzone, an intradermal influenza vaccine is recommended for adults in the age group of 18 to 64 years. Within two weeks of vaccination, the body develops antibodies to fight against the flu virus. Except the intradermal vaccine, Fluzone, other TIVs should be injected intramuscularly, usually in the arms, and given in one or two doses. The first dose should be given as soon as the vaccine becomes available, to prime the immune system. The second dose, which is administered about four weeks or 28 days after the first dose provides the real protection. TIV is available under different trade names such as Flublok, Flulaval, Fluvirin, Fluarix, Agriflu, Afluria. LIAV is available under the trade name Flumist. The TIV (injectable) and LIAV (nasal spray) vaccines should be stored at temperatures between 2°C and 8°C, and should not be frozen. LAIV also contains the same formulations as TIV, but is given intranasally. This vaccine is available in a prefilled single-use sprayer container with 0.2 ml of the vaccine. Approximately half of the container (0.1 ml) is administered into one nostril and the second half into the other nostril keeping the recipient in an upright position. The 2012-2013 flu vaccine gives protection against the Influenza A H1N1 2009 pandemic virus, Influenza A H3N2 seasonal strain, and the Influenza type B virus. It is a trivalent (working against three viruses) vaccine formulation. Influenza viruses undergo constant changes in their structure, as a result of which no vaccine can provide protection from this infection for long. Every year, the World Health Organization (WHO) revises and modifies the formulation of the influenza vaccine according to the influenza virus strain that is circulating in a given geographic area in the specified flu season. Vaccines should be administered before the flu season, which may start as early as October and reach its peak activity in February. You can get the flu shot administered in clinics, health departments, or pharmacies. The influenza vaccine is highly recommended for individuals who come under the high risk group, as they are prone to develop serious health conditions related to influenza. 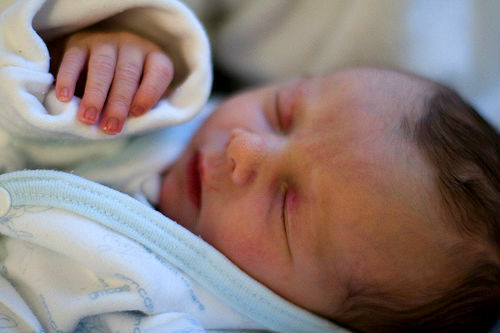 Babies under six months of age should not be given the flu shot. As the influenza vaccine can cause complications when administered to certain people, it is advisable to screen individuals before administering the vaccine, to ensure that the vaccine will not cause the person any harm. Even though seasonal flu vaccines have very good track records for safety, they can cause adverse effects in some cases. In many cases, mild side effects like nausea, headaches, redness and swelling at the injection site, fever, a runny nose, and muscle aches are observed. In rare cases, serious adverse reactions like fainting, difficulty in breathing, paleness, and behavioral changes are also reported. If such reactions are observed, the patient should immediately be taken to the doctor. It is a myth that one can get the flu by vaccination, because the viruses in the vaccine are inactivated ones that cannot initiate infection inside the human body. Getting influenza vaccine shots annually reduces the chances of infection to 60 %, protects you from severe flu-related complications including death, and also reduces the spread of the infection to others. It is considered the best defense against the flu infection. Flu symptoms in children are commonly exhibited during winter, as this is a communicable condition that spreads rapidly, especially among children. School-going children are at high risk of contracting flu as their immune systems (the defense mechanisms of their bodies) are not fully developed. The infection spreads when they mingle with their already-infected classmates, without taking the necessary precautions. Flu symptoms in children typically begin with high fever (sometimes rising above 103 F or 39.4 °C) and are accompanied by chills. Flu symptoms in children mainly arise due to their underdeveloped immune systems. 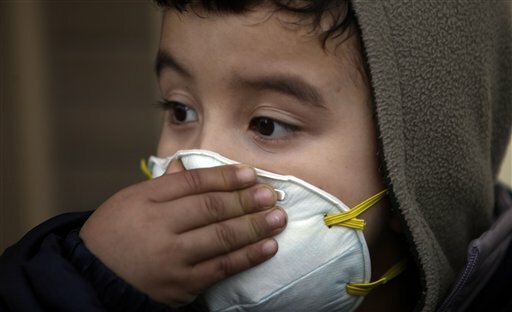 About 20000 children of age 5 are hospitalized in the US every year for flu complications. Apart from the high fever and chills mentioned above, flu comes with symptoms like dry cough, sore throat, headache, fatigue or tiredness, runny nose, and muscle and joint pain. Nausea, diarrhea, and vomiting are also frequently observed. Children younger than 5 years of age face a high risk of developing complications, including febrile seizures, when infected with the flu. Asthma, diabetes and any other underlying medical conditions also worsen during flu infection. In younger children (6 months – 5 years of age), the influenza infection pattern resembles the patterns of infections like croup, bronchitis, and pneumonia. In infants, there is a danger that signs may go unnoticed, as they are often non-specific. If the condition is not treated on time, influenza can induce serious complications and turn deadly, even in the healthiest of children. For this reason, parents are advised to pay close attention to flu symptoms in children and consult a doctor immediately in case they notice any. Flu, the short form of Influenza (the virus that causes the flu), is one of the most common infections of the respiratory tract (nose, throat, and lungs). There are different types of flu, and some variants like swine flu and bird flu have been featured prominently in the media due to their sudden outbreaks. You can get vaccinated against different types of flu, to protect yourself from the infection. The symptoms of flu include cough, sore throat, and fever, and the condition can spread easily from one person to another through air. The severity of the disease may range from mild to severe, and the illness sometimes might even lead to the death of the individual. Flu, swine flu, bird flu, or seasonal flu are the variations of this disease that you are sure to be familiar with. The Influenza virus can be classified based on the nucleic acid (RNA) and protein (on its outer coat) composition as Type A, B, and C.
Influenza has two protein spikes haemagglutinin (HA) and neuraminidase (NA) in its outer coat and these form the basis for its further classification (into subtypes) as H1N1 or H3N2 etc. Given below are the three common types of influenza, and how they can distinguished from one another. Type A influenza viruses are the most virulent (extremely infectious) among the three and cause severe disease. Wild aquatic birds are the natural hosts. 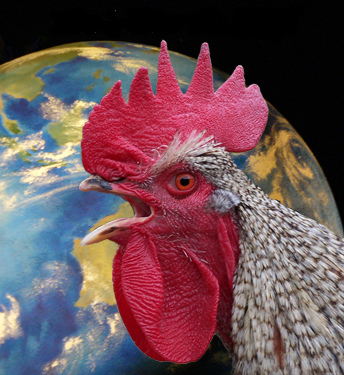 The virus can also be found in humans, ducks, chickens, pigs, and whales. It causes global outbreaks and was responsible for the 1918, 1957, 1968, and 2009 pandemics (outbreak of global proportions). Type A viruses have 16 HA (H1-H16) and 9 NA (N1–N9) subtypes that can occur in different combinations and evolve into new strains. 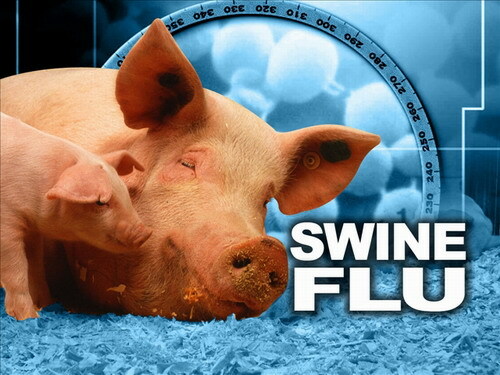 For example, the influenza virus that caused the recent 2009 pandemic was H1N1 (Swine Flu). H stands for HA and N for NA and H1N1 is a subtype of the Influenza Type A virus. H7N7, H1N2, H9N2, H7N2, H7N3, H10N7 are other Type A viruses. Only H1, H2, H3, N1, and N2 combinations have infected humans till date, but studies have shown that even H7, H9, and H5 combinations can affect humans. All possible combinations of surface proteins can infect birds. When a subtype that causes an outbreak in birds emerges, it can colloquially obtain the name Bird Flu. Similarly, the types of flu that target swine are commonly christened swine flu. Influenza type A viruses are unique because they can change their structure very rapidly (high rate of mutation) and can emerge into new viral strains (same but slightly different organisms), bypassing the immune system’s defence mechanism and causing devastating pandemics. In short, humans are not entirely protected against the new emerging subtypes of Influenza A viruses, and the chances of acquiring an infection are still high. Bird flu, one of the different types of flu, is caused by the Type A H5N1 virus. Type B viruses are mostly found in humans, but are less common than Type A viruses. These viruses can also infect seal and ferrets. Among the types of flu, type B viruses cause local epidemics but not pandemics. They also don’t have subtypes like type A viruses. Although these viruses can sometimes cause severe illness, their mutation rate is slow and for this reason, immunity against this type is usually acquired in early life itself. However, there is no long lasting protection against such infections. Influenza Type C viruses are found in humans, pigs, and dogs. These viruses are less common and cause mild cold-like illness. Basically, the three types of flu have almost similar structures – so much so that it’s hard to distinguish between type A and B viruses even with an electron microscope. Some notable differences between the types have been given below. Type A: Has three membrane proteins, namely HA, NA, and M2, a matrix protein M1, ribonucleoprotein core (with PA, PB1 and PB2), and NEP/ NS2 proteins. Type B: Has four envelope proteins HA, NA, NB, and BM2. Type C: Has HEF protein (haemagglutinin-esterase-fusion protein), which has the functions of HA and NA. It has CM2 as the viral envelop protein. People often get confused and use the term “flu” for any respiratory illness that is caused by a virus. By learning about the types of flu, you’ll find it easier to identify the type of infection and choose the relevant treatment. Amoebic dysentery (Amoebiasis) is an infection of the large intestine that is caused primarily by a single celled protozoan parasite (amoeba), Entamoeba histolytica. This infection is characterized by amoebic dysentery symptoms, which range from general weakness to stomach ache and severe diarrhea. 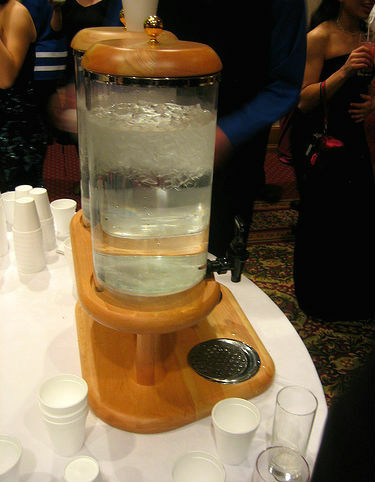 Ingestion of contaminated water is one of the most common dysentery symptoms. Over time, the infection worsens and patients usually pass stool that is laced with blood and mucus, with other complications like mild fever and abdominal pain. The infection is mainly acquired through the ingestion of food or water that’s contaminated with the causative organism. The disease presents itself as mild or often asymptomatic (without any symptoms) in a majority of the cases. If dysentery diagnosis and treatment are not done at the right time, the condition can turn life threatening and in about 20 % of the cases, it does. Once the organism invades the intestine, amoebic dysentery symptoms appear after an incubation period of 7 to 28 days. This may vary from a few days to even months. Most affected individuals start experiencing certain mild amoebic dysentery symptoms during the early stages of the disease. It is important that these signs are noted immediately, so that you can consult a physician at the earliest possible instance. Blood and mucus (pus) stained feces is an indication of severe amoebic dysentery. This symptom is presented when the parasite multiplies enough to cause ulcers or localized lesions in the large intestine. In rare cases, the causative organisms invade the blood and are carried to other organs of the body, leading to the formation of abscesses (swollen areas within body tissue, containing an accumulation of pus). Such abscesses mainly occur in the liver but may also extend to adjacent areas like the cardiac region. Brain abscesses and genitourinary diseases may also result due to complications. Amoebic dysentery symptoms are easy to miss during the early stages. For this reason, it’s doubly important to consult a physician immediately once the primary symptoms manifest. Are You Prone To Amoebic Dysentery Symptoms? The disease is communicable as long as the organism is excreted in the feces of infected individuals. Some chronic carriers often act as potential dysentery causes by excreting the organism for years without showing any clinical symptoms otherwise. Usually, it is amoebic dysentery symptoms that dictate how critical the case is and what form of amoebic dysentery treatment is ideal for that particular case.